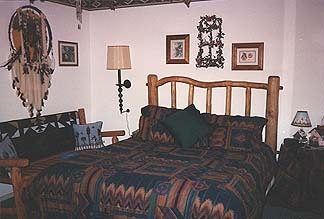 A touch of nature inside and out is what Flagstaff and this Bed & Breakfast has to offer. Setting on a spacious 2.5 acres, once rich farmland, surrounded by Ponderosa Pines and wild flowers (in season) and pottery relics from Indians of the past, with a panoramic view of Mt. Elden and the peaks right out your window. The place with the personal touch! One story cedar home with Mountain view just outside the city with the sounds of nature in a country setting. Hiking trials / horseback riding close by. 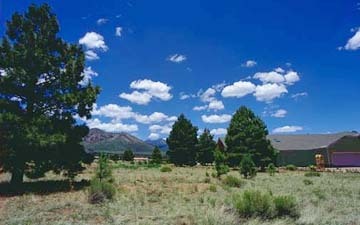 Small group tours to the Grand Canyon available, minutes from Historic Downtown Flagstaff. Delightful breakfast included. 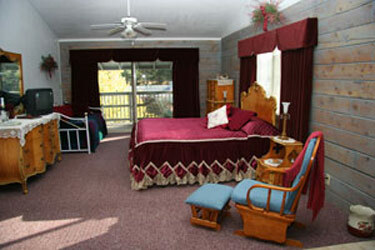 Comfortable rooms in nature themes with views, phones, TV's, and private baths. Small family groups welcome! Winter special available Jan. - April. In House massage therapists, by appt. only for guests.